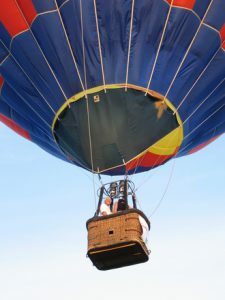 The Gatineau Hot Air Balloon Festival 2018 will be held from Thursday August 30th to September 3rd 2018 at La Baie park in Gatineau. Come with your children to watch a spectacular hot air balloon lift off or simply enjoy any of the 300 shows and activities offered during the weekend. Become a superhero with Fetes en Boites! If kids are seeking some thrills, there is always the amusement rides – at an extra cost – that includes rides such as the Free Fall or the Ferris Wheel. There are even rides for the tots in a special area set up just for them. There will also be tons of kid friendly entertainment on the Family Stage with music, dance and magic including ATCHOUM on Saturday September 1st at 11:30am and 1:40pm, ARI CUI CUI on Saturday September 1st at 10am and 2:45pm and BILL BESTIOLE on Sunday September 2nd at 10am and 2:30pm. Be sure to stay for the fireworks Saturday around 10:15pm!